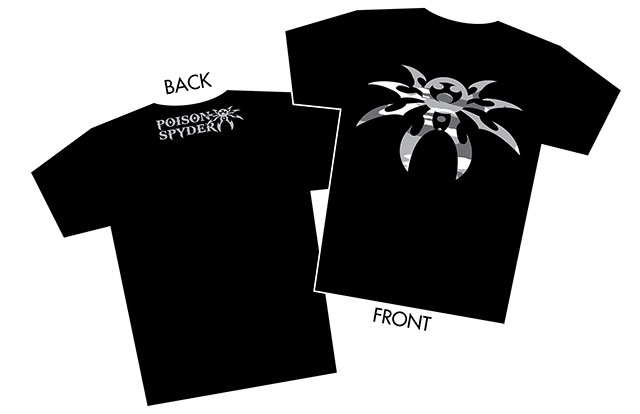 This stylish men's T-shirt features the Spyder symbol in 3-color snow camoflage design on the chest, with the Poison Spyder logo just below the neckline on the back. Printed on a black high quality men's cotton T-shirt. Love the logo, excellent quality.